In 1952 the Type 20TS (often referred to as the TR1) is introduced at Earl’s Court Motor Show. Built on a prewar Standard chassis and sporting a dual-carb version of the Standard Vanguard engine, this show car looked much like the TR2s and TR3s that later followed, although rear body styling was quite different, with a more rounded, traditional look featuring exposed spare tire. 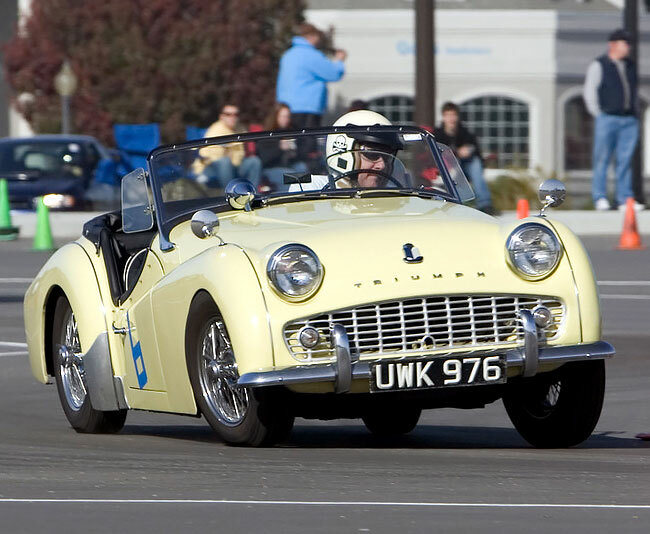 Ken Richardson was soon hired by Standard-Triumph to oversee development of the car into what became the TR2. The car eventually gained its own purpose-built chassis frame, which incorporated front suspension originally developed for the Mayflower. The Vanguard engine (2088cc) was further developed into a reliable 90hp, under 2-liter (1991cc) engine. The rear of the body was redone to provide a trunk and an enclosed space for the spare. A prototype TR2 was run on a closed stretch Jabbeke highway by Ken Richardson in spring 1953, achieving close to 125mph in “speed” trim and around 105mph in “street” trim. The first “off-tools” TR2s were produced in summer 1953. 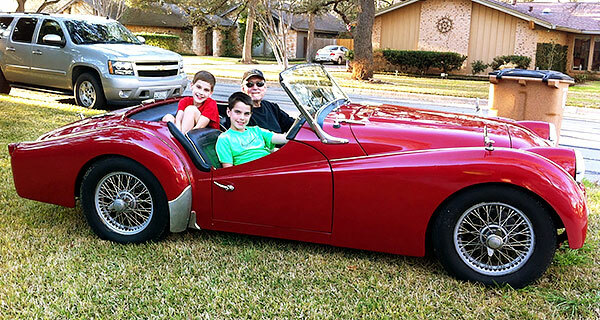 Various continual developments, changes and improvements to both body and mechanical specifications led to the TR3 model for 1956 and the TR3A version around 1958. Production of the TR3 largely ended by 1961, replaced by the mechanically similar (but with much more modern styling and comfort features) TR4. A small number (3,331?) of TR3Bs were built for the North American market in 1962, largely to TR3A specification, although most of these had the larger 2138cc engine and all had the all-synchro TR4 transmission. Total TR2-3B production was something under 80,000 cars. Also, several other cars shared basic TR2-3 running gear, such as the Swallow Doretti, Peerless, Warwick, and the (Vignale) Italia. TR engines also powered versions of the Morgan sports car. Compiled by Carl Musson. 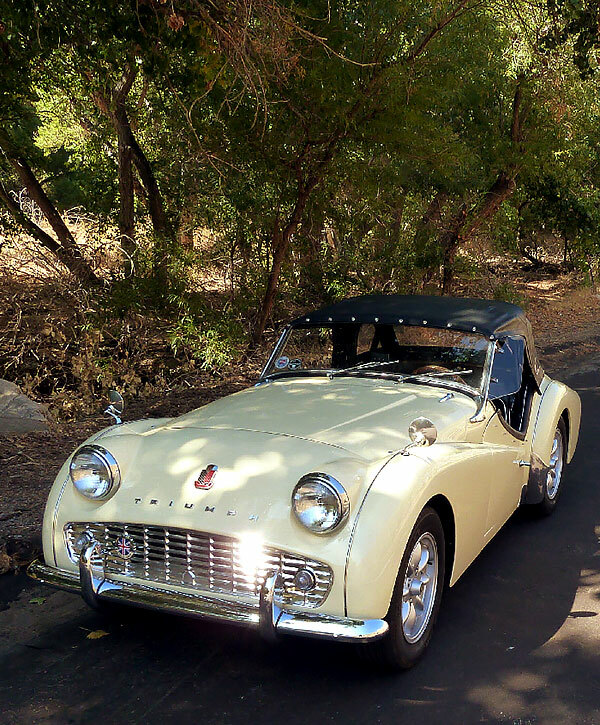 Sources: Newton’s Illustrated Triumph Buyer’s Guide, Moss Motor’s Triumph TR2-TR4A Spare Parts and Restoration Catalog, and Piggott’s Original Triumph TR Restorer’s Guide. One model of TR2/3 can be difficult to tell from another unless you know what to look for. They all resemble bulldogs — short-squat, full of vigor, with distinguishing cut-away doors. 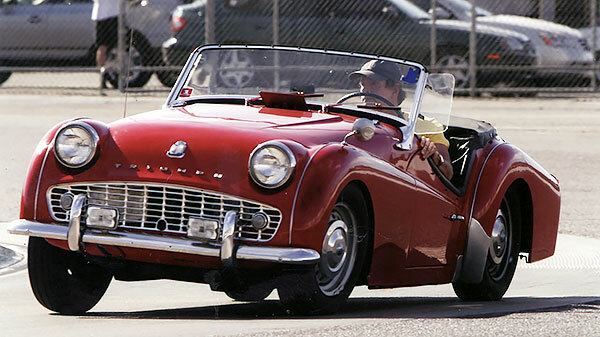 The first was the TR2, built from 1952 to 1955. The early “small mouth, long door” has a small, recessed front grille and door skins that extend down to the bottom of the rocker panel. To spot a really early TR2, check the wiper spindle spacing. The earliest cars had their windscreen wipers only 10.5 inches apart, which caused only a relatively narrow area of the windscreen to be wiped. At TS995, the spacing was increased to 14.5 inches. As the spindle holes are punched into the front scuttle and as it seems unlikely that anyone would ever alter this spacing during a rebuild, the narrow spacing remains a reliable guide to a genuine early TR2. This difference in wiper spacing is surprisingly noticeable on the cars and even in photographs, enabling one to look at a picture of a TR2 with an unknown identity and say with some certainty that it is a sub-TS995 car! 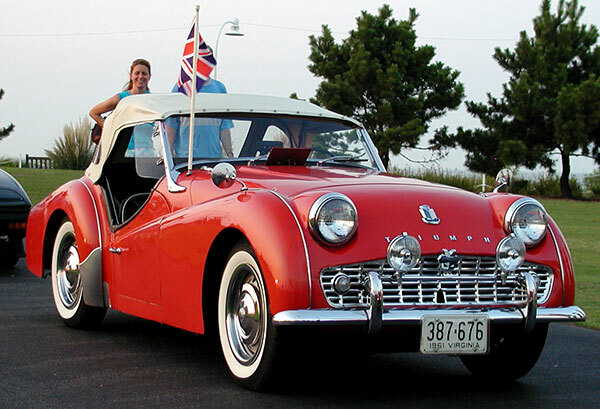 After the first few thousand TR2s, the Triumph factory responded to complains from owners who scraped the door bottoms on curbs by shortening the door skins, and introduced the TR2 model which has come to be known as the “small mouth short door.” Altogether, approximately 8600 TR2s were built. 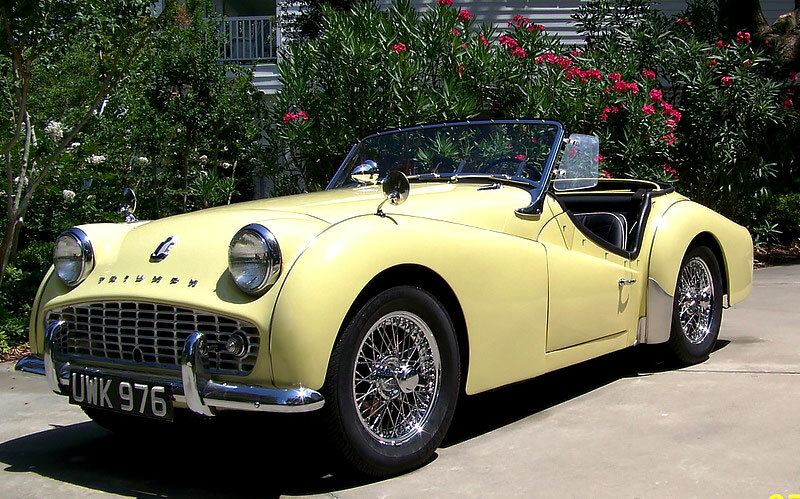 In late 1955, the TR3 “small mouth” was introduced. This model can be recognized by its grill: the opening is still small, but the grill itself is no longer far recessed, but nearly flush with the front valence. 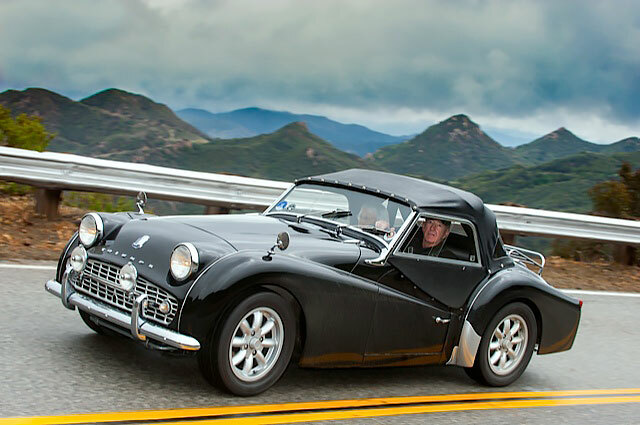 Production reached nearly 17,000 for this model of TR3. In 1958, Triumph opened up the grill to increase air flow and the TR3A “wide mouth” was born. At 58,236 cars, this is the most common of TR2/TR3 series. The final version of the TR3 came in 1962. Triumph had released the svelte new TR4, but sales were initially disappointing, particularly in the USA. So the company put the 2.2 liter TR4 engine in left-over TR3 body stock, and created the TR3B, of which 3,331 were built. 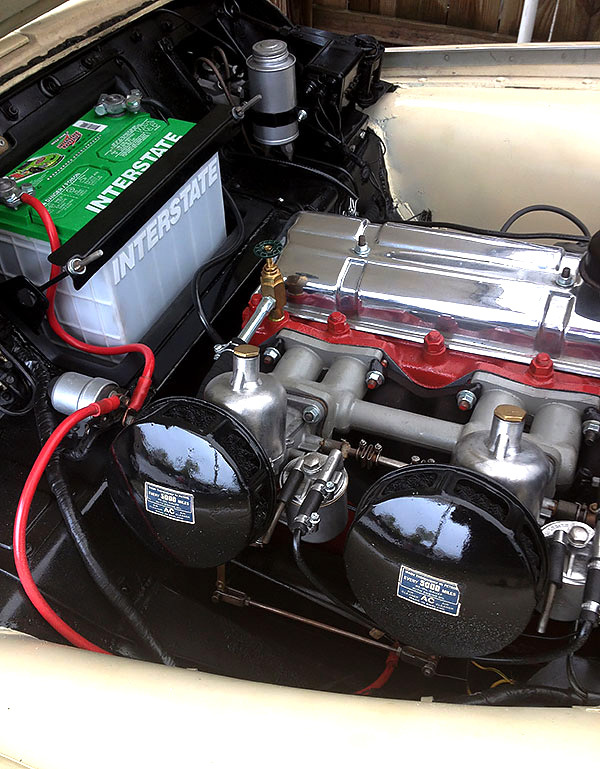 Without examining the engine compartment, it is difficult to tell a late TR3A apart from a TR3B. There you go — you now know the quick and easy ways to differentiate between the models of the TR2/TR3 series.